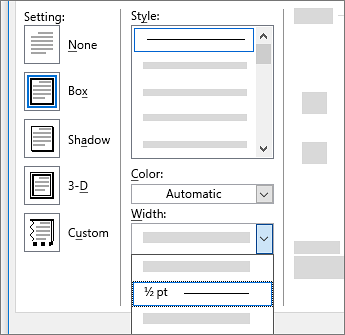 Select Design > Page Borders. Make selections for how you want the border to look. 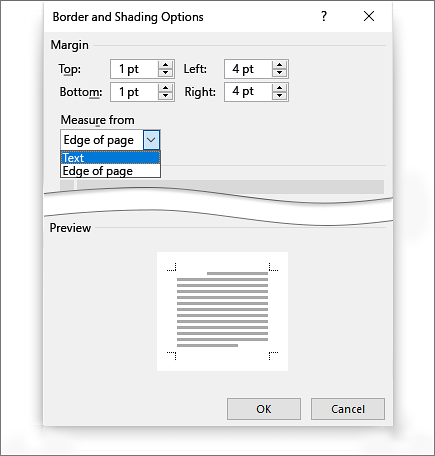 To adjust the distance between the border and the edge of the page, select Options in the Borders and Shading dialog box.